Build a better future with us! Where and what is Independent Mercia? Mercia is the English region of the greater Midlands. It is currently comprised of its historic 20 counties: Bedfordshire, Buckinghamshire, Cambridgeshire, Cheshire, Derbyshire, Gloucestershire, Herefordshire, Hertfordshire, Huntingdonshire, Leicestershire, Lincolnshire, Middlesex, Northamptonshire, Nottinghamshire, Oxfordshire, Rutland, Shropshire, Staffordshire, Warwickshire and Worcestershire. 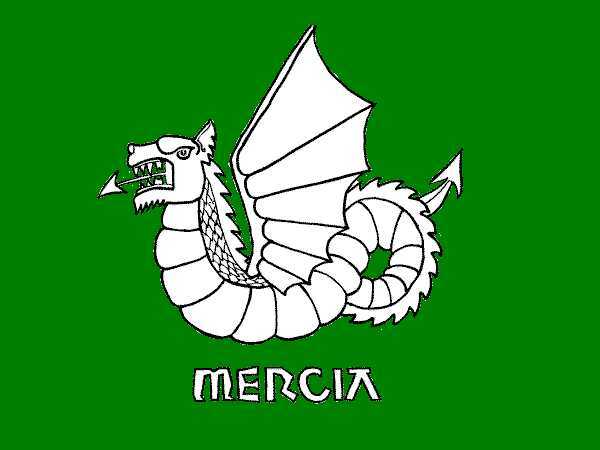 Mercia developed in the sixth century from an amalgamation of four English tribes and flourished until the Norman Conquest in 1066 when it was destroyed, although the region remains independent in law. Since then, there have been periodic unsuccessful efforts to rid England (including Mercia) of the Norman yoke, but the ordinary people remain virtually powerless within the Norman-British UK. In 2003, representatives of the Mercian Constitutional Convention publicly reaffirmed Mercia’s legal independence and the Acting Witan was then formed to spearhead the drive to re-create Mercia as an autonomous and sustainable bioregion within a confederation of English regions. Are you a Mercian, by home, heart or heritage? The website provides further information and invites people who recognise Mercia as their home region to claim citizenship and help re-create Mercia as a region rooted in the organic democracy, co-operative community and ecological balance enjoyed by our antecedents, the Anglo-Saxon Mercians. You are warmly invited to explore the rest of our website and join with us in trying to restore Mercia as the independent region it once was, for the benefit of all its people.